K-Ci and JoJo had a notable career with Jodeci, topping the R&B singles charts with such songs as "Stay", "Come and Talk to Me", and "Cry for You". In 1992, DeVante formed the Swing Mob, a group of artists, songwriters, and producers that took part in their later albums. Jodeci released three albums, but in 1996 the group went on an indefinite hiatus (the group never formally split up). Jodeci is credited with starting the musical careers of Missy Elliott, Timbaland, and Ginuwine. K-Ci and JoJo's first sign of independence came in 1994 when K-Ci covered Bobby Womack's hit "If You Think You're Lonely Now" for the movie Jason's Lyric. 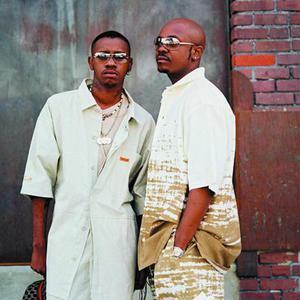 Early in 1996, K-Ci and Jo-Jo teamed up for the song "How Could You" for the movie Bulletproof starring Damon Wayans and Adam Sandler. By July 1996, K-Ci and JoJo finally had a hit on their hands as guest artists in 2Pac's number-one R&B hit "How Do U Want It". It also topped the Billboard Hot 100. The brothers made their side projects into a full album, Love Always. Released on June 17, 1997, the album spawned two top-ten R&B hits: "You Bring Me Up" and "Last Night's Letter". "All My Life" was the number-one song on the Hot 100 for three weeks, a feat that K-Ci and Jo-Jo had never achieved with Jodeci.Love Always went on to sell four million copies, and the success of the album put Jodeci's reunion on hold indefinitely. Their second album,It's Real,was released on June 22, 1999. It spawned one major hit "Tell Me It's Real" which peaked at number two on the Billboard Hot 100 and Billboard's R&B charts. K-Ci and Jo-Jo returned with X on December 5, 2000. "X", the Roman numeral for ten, was picked as the album title to celebrate the Haileys' tenth anniversary in the music business. They made a strong return to the Billboard Hot 100 early in 2001 with the song "Crazy", also included on the Save the Last Dance soundtrack. "Crazy" peaked at number three on the Billboard Hot 100.